When it comes to hand and nail care, a little TLC can go a long way. Thankfully, Koto City has no shortage of experts in the field; but for a little extra love, you’ll want to hit up a place like Shandi Nail & Flower Therapy Salon. 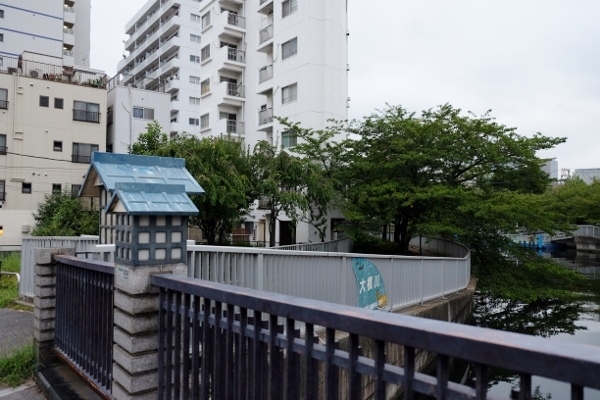 Shandi is a home-style salon located on the third floor of an apartment complex just south of Monzen-nakacho Station. The cozy flat, equipped by design to handle only one customer at a time, gives you the kind of private, VIP treatment that would be difficult to find at larger establishments. Ms. Mika Takahashi, a certified manicurist who has won many awards for her skills, is the one who will take care of you during your stay. Before we get started, she tells me a little bit about the second half of the salon’s name: flower essence therapy, a form of homeopathy and counselling service which she also offers. “Flower therapy uses flower essences to restore balance to the body. There are many different kinds of single flower essences, as well as mixtures, which can be used to address specific problems,” she explains to me. 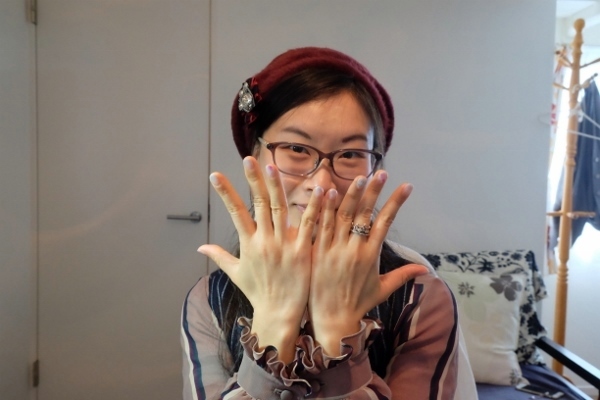 Ms. Takahashi studied and obtained the certification to practice flower therapy after noticing that many of her customers were coming not just to get their nails taken care of, but also to find a comfortable space where they could relax and unburden their heart. Being a naturally warm and open person, Ms. Takahashi made for an ideal confidante—but she wanted to be able to actively help to her clients as well. Once relaxed from the tea, we get started. Now, if you’ve ever painted your nails, you know both the joy and frustration that goes into it—the excitement of picking out your polish colours, the careful strokes, the inevitability of colouring outside the lines (oops), the long wait time as you try to get the varnish to dry and the crushing disappointment when your nails prove to be not as dry as you believed (double oops)… And repeat. That’s part of the reason why going to a nail salon can be such a treat—all joy, no frustration, and no do-overs! After you’ve either picked out your design from a catalogue of past examples or specified one based taste and preference (be sure to take advantage of the various stones, stickers and colour palettes available), all you have to do is sit back, relax, and let the magic happen. It takes Ms. Takahashi barely any time to complete each nail. She paints them with quick but meticulous strokes, adding a little sparkle and some flowers in the process. It’s mesmerizing to watch her work. Since we’re using gel polish today, the drying process is also quick and painless—five seconds under the UV light and the polish has dried perfectly, there to stay for a good two to three weeks. Shandi’s services also include hand massages (which feels wonderful if you, like me, spend a large portion of your day typing away at a computer or working with your hands) and nail care without the use of polish, a popular one with male clients. Dressing up your nails can be a great mood-lifter, as I found out in the weeks since my visit. Not only did looking down at my well-cared-for nails give me a spark of pleasure, I received multiple compliments from friends and stranger alike! Furthermore, the therapeutic effect of visiting Shandi will stay with you long after you’ve walked out the door. 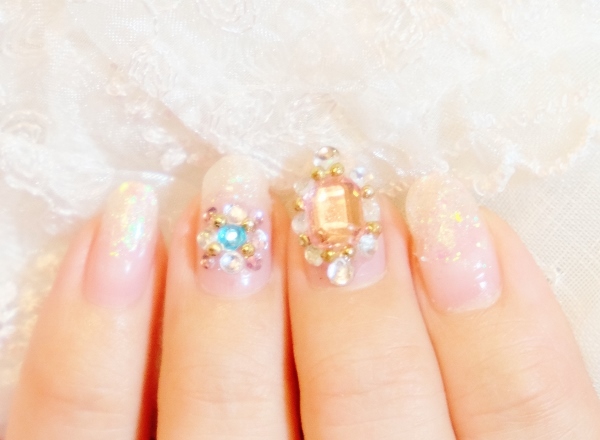 So the next time your nails and your heart start prodding you for some love, treat yourself to an hour with the charming and friendly Ms. Takahashi at her home salon. Your day is sure to be brighter afterwards!